Microlearning – the delivery of training in short bursts – is an essential part of employee development today. While not a panacea for all training needs, it is critical to meeting the needs of the modern learner. Workers today not only want microlearning opportunities, they need them. And, companies who fail to incorporate these approaches into their development strategies will quickly fall behind those that do in the very near future. According to Deloitte’s study, 2016 Global Human Capital Trends, there are forces at work that are rapidly disrupting corporate learning. Advances in technology, shifts in demographics, and the constant competitive necessity to upgrade workforce skills are pushing companies to not only foster a culture of learning but to develop new ways to put employees in charge of their own learning experiences. The paradigm of corporate learning is shifting fast. Successful companies are now moving beyond internal development programs toward innovative platforms that enable and empower people to develop themselves. We believe that microlearning is now the future of learning in the corporate setting – that microlearning has transcended “trend” status to become the must-have solution to the challenges companies face in meeting their training and development needs. As employees increasingly take more control over their own learning and development, companies are feeling the pressure to understand their needs and find effective ways to meet them. There are other pressures, too, that are fueling the need for innovative approaches. The Brookings Institute estimates that by 2025, Millennials will make up 75 percent of the workforce. The unprecedented number of younger people in the workplace today relative to older, more experienced workers is pushing training needs to an all-time high in every industry. Clearly, these needs are only going to grow, putting enormous pressure on training budgets as well as learning and development professionals. They must not only meet this burgeoning need – they will increasingly feel the pressure to demonstrate the impact of the training they provide on the bottom line in terms of employee performance, compliance and other indicators of productivity. Simply put, companies today know they need to train their people, but they want to know that new approaches will deliver a positive return on their investment. Research from Bersin and Associates reveals that modern workers hit the Internet an average of 27 times a day. Most of them (70%) are using search engines to find answers to unexpected problems and on-the-job questions. These statistics underscore the rapid pace of business today and employees’ needs for the kind of just-in-time training that traditional learning approaches cannot provide. Despite their need for training few workers feel they have the time for it. According to Bersin, today’s employees have only one percent of their time available each week to devote to professional development and learning – less than five minutes a day assuming a 40-hour workweek. The Bersin study also revealed just how fractured the attention spans of today’s workers are now. Most learners won’t watch videos longer than four minutes long, and while they will hit the Internet as many as 27 times a day, few will stay on a website for more than ten seconds. According to the Journal of Clinical and Diagnostic Research, 61% of students had multiple learning preferences that included visual and auditory experiences, reading and writing, and kinesthetic (hands-on) learning opportunities. To be truly effective, development approaches must allow for these different learning styles. Employees want to learn – the Bersin study shows this. But, the way they want to learn is changing fast. Modern workers feel the pressure to perform and need on-demand access to training when it’s convenient for them and without a significant investment of time that would hamper their ability to complete essential job functions. Bersin also found that 30 percent of employees do most of their work outside of their employer’s location. These workers need to be untethered from training programs that require physical attendance at a specific place. Research shows that companies today understand the importance of training and development and are beginning to understand what we already know – that microlearning is the future of learning. 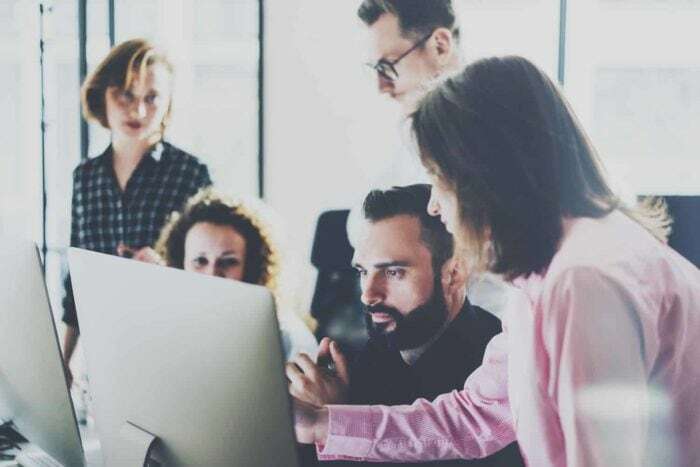 The Association for Talent Development (ATD) surveyed 596 talent development professionals and found that 38 percent of them currently use microlearning and another 41 percent plan to start within the next year. What these companies are looking for are training approaches that are cost-effective in multiple ways. They not only want strategies that improve retention and application of the knowledge gained, they want their training programs to grow employee engagement and drive performance. Microlearning improves retention. With microlearning, content is interactive, delivered in several short bursts, and repeated over time – all of which have been shown to significantly increase retention. Microlearning is also ideally suited to repeated retrieval—the practice of learning a concept, testing recall of that information, reviewing the concept again and then testing recall again. This practice help learners maintain their knowledge and solidify it in memory over the long term. Microlearning accommodates dwindling attention spans. One of the reasons microlearning is so effective is that it is optimized for the shorter attention spans of today’s workers. By its very design, microlearning distills the most essential information into short, easily digestible lessons that even the most distracted employee can absorb. Motivates learners to upgrade their skills. Microlearning is especially attractive to employees with limited time to devote to training. Breaking training content into 5-10 minute lessons makes it more manageable for learners to digest and allows them to improve on an ongoing basis over time without impacting their regular job duties. Microlearning can be delivered on-demand. Employees can access from desktops, tablets or mobile phones making it simple to participate in training regardless of their location. Microlearning is ideally suited to mobile devices. The Bersin study revealed that employees unlock their smartphones up to nine times an hour. Providing microlearning on mobile devices allows companies to capitalize on strongly ingrained habits to improve employee knowledge and performance on the clock and off. Microlearning can be personalized. With microlearning, content can be adjusted according to learners’ roles and competency levels, directing them either to repeat lessons unsuccessfully completed or to review information to reinforce what they already know. Microlearning engages and empowers employees. With microlearning technologies, employees can take control of their learning and development, learning what they need when they need it. Instead of traditional learning programs that offer a one-size-fits all approach, employees can create their own learning paths giving them a sense of empowerment. Employees who feel more competent in their work engage more fully with it. ATD’s study shows that organizations in many different industries are using microlearning for a variety of purposes, including supplementing formal training and as a just-in-time learning tool. We think it’s time all companies adopt microlearning as a development tool. We believe that companies willing to adopt approaches capable of tailoring training experiences to the individual needs of their people will unlock their full potential to achieve greater productivity and innovation and reveal the next generation of corporate leaders. Doing so will also maximize the ROI of training by making workers feel more confident in their jobs, increasing the likelihood that they will stay on longer with their retention resulting in greater dividends on the training dollars invested.